Most people have a routine when they wake up each morning and head to work. And most people, at some point, look at the time and realize that they don’t have the luxury of leisure as they get ready for the day. Get up, get dressed, get to work. In that order. Not many things cut into the routine more than an inoperable keyless entry system. Sure, it only takes a couple of minutes to manually open and close your garage door. But a couple of minutes can be very valuable during your daily commute. If the lights and remote are working, and if the unit is plugged in, the problem is most likely the circuit board on the electric opener. Problems with the circuit board can be caused by vibration. This usually occurs after years of faithful service. The shaking of the supports, cables, and the motor itself can cause small disconnections in the board. Lightning or a power surge is also a culprit where blown-out circuitry is experienced. If the wall switch works but the remote does not, chances are there is damage to the remote unit and not the electric motor. If the batteries are fine, then the problem is in the connections within the remote unit. 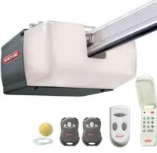 Professional installers of garage door opener equipment can replace the remote with a brand new one that will fit your garage door opener’s frequency as there are many different ones based on brands and models type. The problem here is most likely either in the trolley carriage rather than inside the garage door motor or the rotating mechanism is worn out/ broken which. If the trolley moves but does not open the door, the motor is working just fine. Instead, a new trolley carriage will have to be installed in order to fix the problem. A broken or grinded system will need to be either repaired or replaced; this is due to several reasons: over-load of weight, unbalanced door, an object blocking the smooth door operation. The wall switch wires can come loose, and this is the probable cause for failure of the switching mechanism. 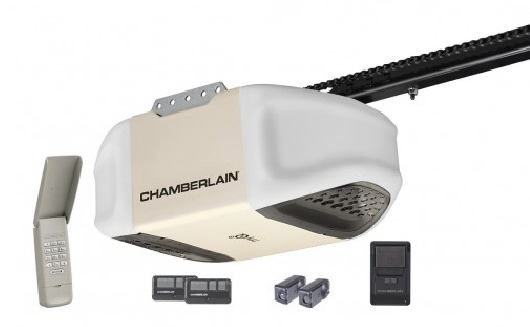 A garage door opener technician can quickly identify the problem and correct it. A garage door motor is generally not to blame for inoperative switches. However, an electric opener must be properly aligned with the sensors in order to receive any signal commanding automatic open/close. With Garage Door Pros, all these potential malfunctions are easily serviceable. Our certified professionals at Garage Door Pros are well-trained in the installation, repair, and maintenance of keyless entry systems made for garage doors. From sensors to remotes to remoteless keypads, Garage Door Pros can have you coming and going freely in no time. So when you get home and sigh in exasperation knowing your door clicker isn’t working anymore, remember that it doesn’t have to be such a hassle. Keyless entry into a garage door is really beneficial and convenient especially for families. Choosing to install a door sensor that comes with a remote is a great idea. When it comes to choosing the right garage door system it can be tricky since there are so many to choose from. We are here to provide you with the best keyless entry garage doors available work hard to give quality results. You will find that our website has a lot of information that will guide you along the right track. There are now more people with keyless entry than ever before due to the convenience it provides. Knows your chance to get the job done by true professionals who are committed towards making sure their clients are happy. If you want to learn more about what garage door systems work best just navigate around our website. Having a keyless garage door installed can be tricky and is best done by professionals. Now is your chance to prepare for the seasons up ahead by being more proactive about your choices. Getting started is as simple as choosing the design you want and seeing quality type if better for your home. Customizing a garage door to your exact liking won’t be hard for you to do when working with the right company. If you’re in need of the best results and want to get the job done properly now is your chance. One of the main benefits of having a keyless garage door is that you won’t lose any keys! Rushing in the morning can lead to spilled coffee and disorganization. Having one less key to worry about will give you ease of use when the morning arrives. Taking the time to work with a dedicated source that knows how to get the job done properly is a great idea. Wireless is become the new thing amongst all levels of technology. Its only right that having a wireless solution to your garage is now becoming a thing. The only thing you will have to worry about is the batteries in your remote (which will last for a very long time. 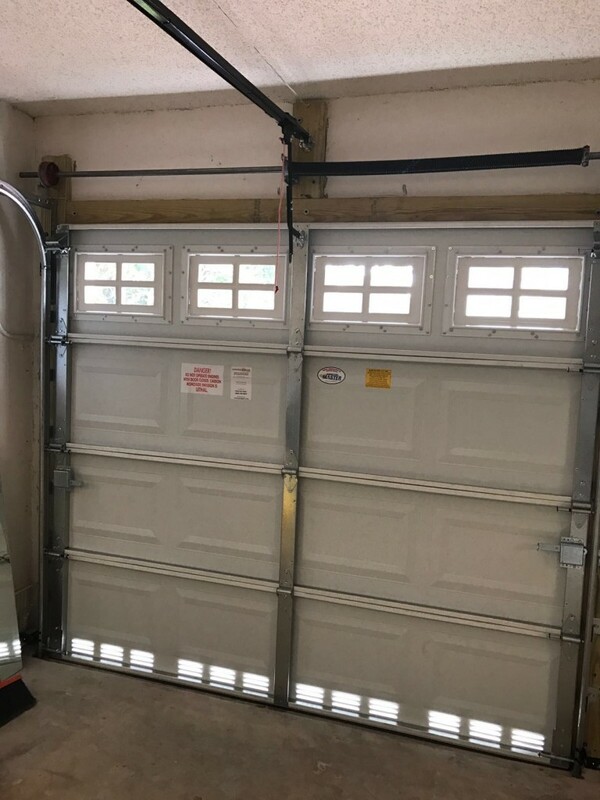 There so many other factors to consider when trying to decide on what sort of garage door you will want to have installed. There is no doubt that your life will become much simpler and getting in and out of your home will no longer be a hassle. Contact us today to get you started and never look back ever again. This is the perfect time of year to look into having keyless entry garage doors installed. If you want to learn more you will be amazed with how simple, it will be for us to help you move forward! Contact Garage Door Pros today, and we’ll get you squared away. Quality Service & Sales, A Local Company You Can Trust!